Fashion week may be over but a new designer is quickly ramping up to debut a new line. If you’re a fashion diva like myself you may be wondering how you could’ve possibly missed this latest installment in the fashion world. Are you sitting down? You may need to be sitting to take in the information I’m about to give you. The United States Postal Service is partnering with The Wahconah Group out of Cleveland to produce an apparel and accessories line. The new line’s brand name will be “Rain Heat & Snow” going along with their motto “Neither snow nor rain nor heat no gloom of night stay these couriers from the swift completion of their appointed rounds.” The new clothing line will not be uniforms for the U.S. Postal Services’s employees but a clothing line for the masses. I believe it to be along the lines of a durable, weather proof kind of line that may be comparable to Carhartt. The fashion partners also hope to incorporate accessories that will have electronic devices embedded into them. The menswear line is being produced first and a women’s line will be launched later. The announcement comes after the U.S. Postal Service announced a net loss of 1.3 billion in the first quarter this year. It’s also estimated that they lose nearly 25 million dollars a day. This is definitely a big move away from their core competency and I’m not sure this is the best way to save the company or try to survive in this economy. The U.S. Postal Service has also notified the public that they will be ending Saturday delivery in August of 2013. They believe this will help recoup about 2 billion dollars but will it be enough to keep them afloat? It makes much more sense for the U.S. Postal Office to branch out into the FedEx or UPS type business instead of the fashion industry. When I envision what the U.S. Postal Services line will look like I can’t help worrying that they’ll stick to the light blue, navy and gray color palette. I hope they prove me wrong. After reading about the U.S. Postal Service branching out, I couldn’t help but wonder what other brand expansion faux pas had occurred. Another example of a company expanding outside their realm of expertise is Zippo’s. We all know that they are the maker of lighters but they decided to venture into women’s perfume in 2012. In my opinion, their first mistake was plunging into the perfume business and their second mistake was creating the perfume bottle to resemble a lighter. Not only do you think of smelling like smoke if you use this perfume but you also carry the risk of potentially picking up the wrong “lighter.” Some brands can expand seamlessly into other areas such as Virgin. They’ve broken into the airplane, train and music business, however, other companies have not been as successful. Who would’ve ever imagined that the U.S. 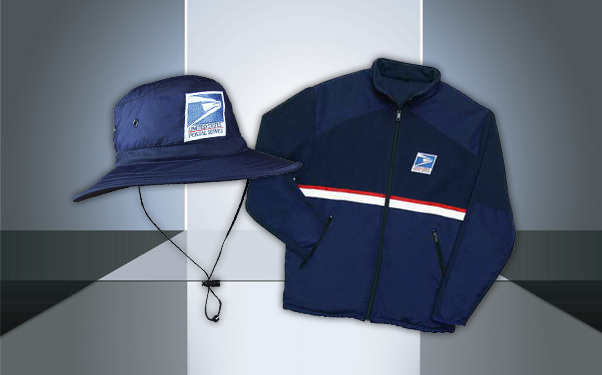 Postal Service would create Ready to Wear (RTW) for the American people? They may be successful in their new business venture but only time will tell. You can guarantee that I’ll be checking in on the status of this line and finding a carrier near me! What are your thoughts on this new business venture? Click this link to read the article.